end boutique hotels within a six-block area in downtown Seattle. The Alexis Hotel, the Hotel Monaco and the Hotel Vintage Park are all operated by the Kimpton Group, which specializes in small, elegant hotels for discriminating travelers. 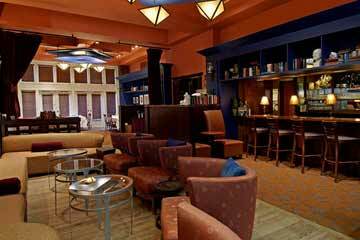 Guests enjoy many of the amenities and services of larger, luxury hotels in a cozy, intimate atmosphere. Seattle Aquarium and Safeco Field (home of the Major League Baseball's Seattle Mariners) are all within one mile of the hotel. The University of Washington is four miles away and the Boeing Flight Museum is eight miles away. Seattle-Tacoma International Airport is 12 miles south of the Alexis Hotel. 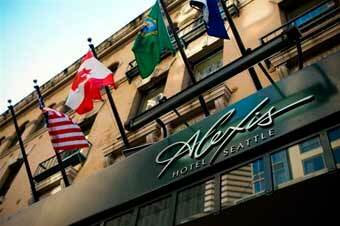 The Alexis Hotel has 16 Executive Suites, 9 Alexis Suites, 8 Fireplace Suites, 6 Spa Suites and 5 King Premiers. The Alexis Suites feature one and two bedroom suites with fully equipped kitchen units. The Alexis Spa Floor, located on the sixth floor, provides guests with special amenities including Frette linens, goose down comforters and pillows, herbal teas as well as the opportunity to experience spa services either in the Aveda Spa or in the privacy of their room. for fine dining. The Painted Table features Northwest Market Cuisine with an emphasis on locally grown herbs. The Bookstore Bar & Cafe serves lunch and dinner. 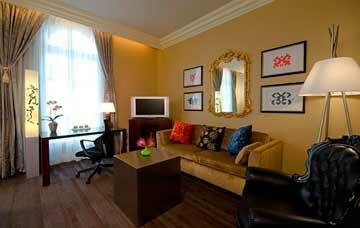 The Alexis Hotel's four meeting rooms are The Gallery, The Studio, The Drawing Room and the Parlor. The hotel's meeting rooms serve groups of 10 to 120.